Two-part basic nutrient for flowering stages for hydro. Bio Bio Mineral Multi Flora can be used in inorganic substrates (such as stone wool, mapito, clay granules, etc.). 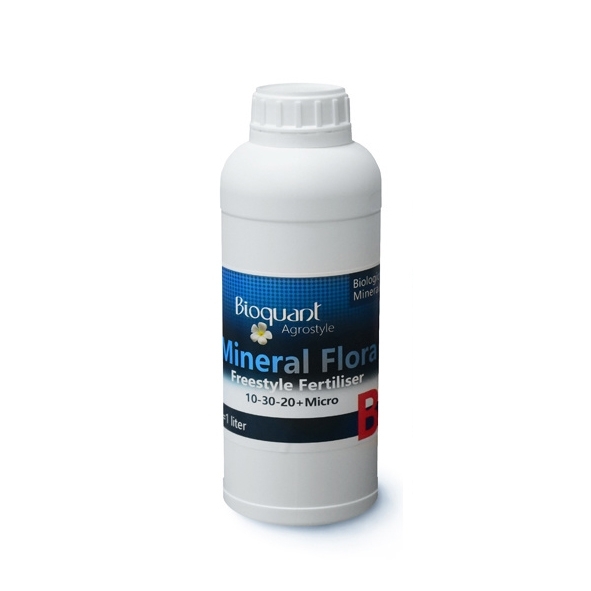 Bio Mineral Flora contains nitrogen, phosphorus, potassium, and all essential microelements for stable flowering of all plants on inorganic substrates. Bio Mineral Flora can be mixed with all additives except strongly alkaline solutions.